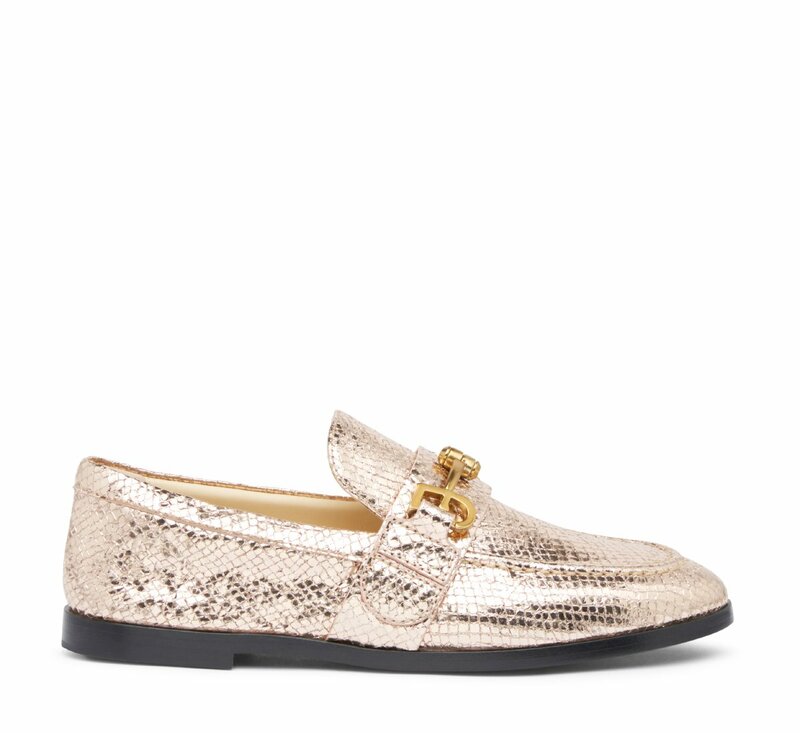 Loafers with iconic Fabi logoed bar in super-soft snake print leather. The heel is completely deconstructed. Sole in leather.